YFM’s DJ Sabby just dropped a new single titled Inghudu featuring Red Button, Jovislashand the late Flabba. The high energy joint was produced by Phat Pro and makes reference to the large beer bottles that your drunk uncle usually prefers to sip from Where I’m from we call them quarts. 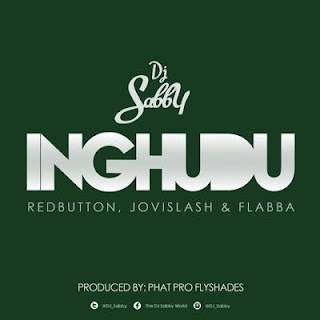 The song made its way onto social media this morning and amongst the hype that usually surrounds a song release these days a separate debate began to rage on about why Inghudu was spelt with an H.
Once again please continue to check in with your favourite African Hip Hop Blog as we attempt to ascertain what the correct spelling of Ing(h)udu really is in our effort to bring you the best coverage of all things Hip Hop and song title related. Also the song is pretty dope ad anything with a posthumous verse from Flabba gets an immediate from me. Jovislash -- TEMPLΛTE & STYLiNG BY - Le FREΛKΛ... Powered by Blogger.